Remember when RancherMan & I were traveling in East Texas and we stopped at a hole-in-the-wall dive for lunch? (ya know, sometimes those are the best places to eat!) We saw a menu item called ‘Poor Man’s Steak”. It was a hamburger patty stuffed with onion, bell peppers, jalapenos and cheese. And it was absolutely amazing! I couldn’t wait to get back home & replicate that dish. And today to celebrate Throwback Thursday I’m sharing it with y’all again. Enjoy! 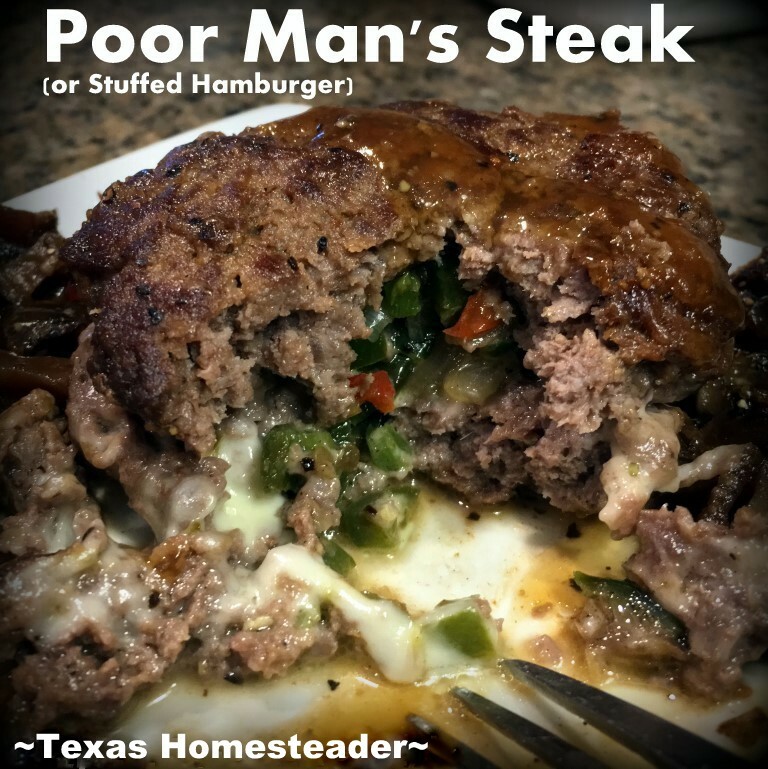 This entry was posted in Blog Posts and tagged Throwback Thursday on January 31, 2019 by Texas Homesteader.